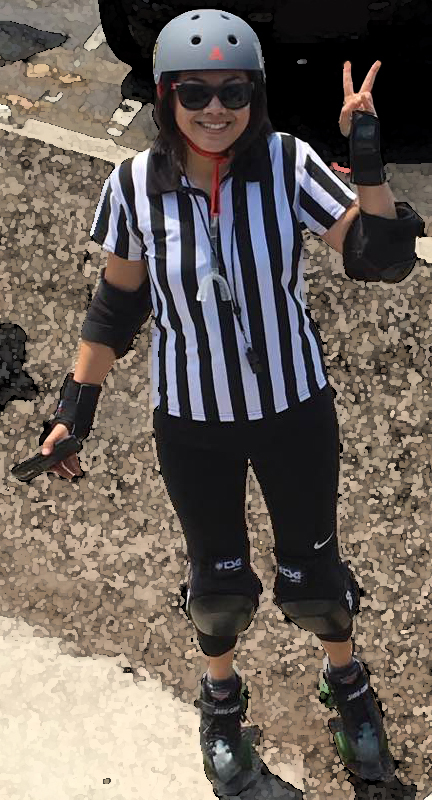 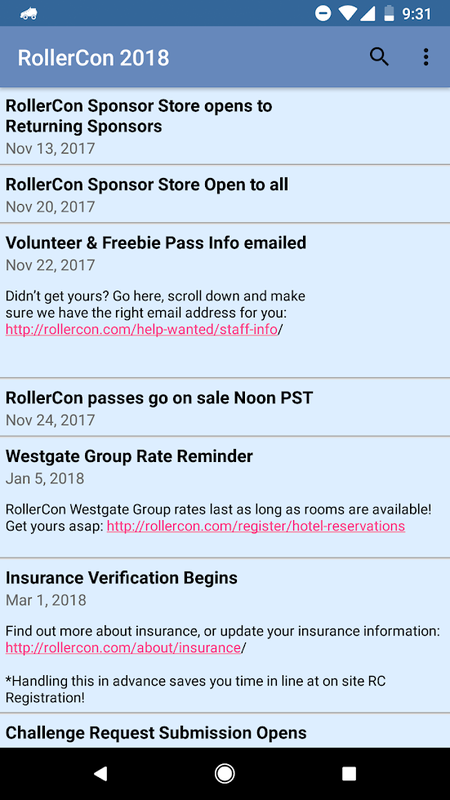 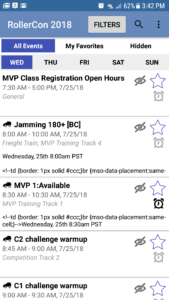 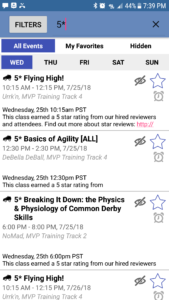 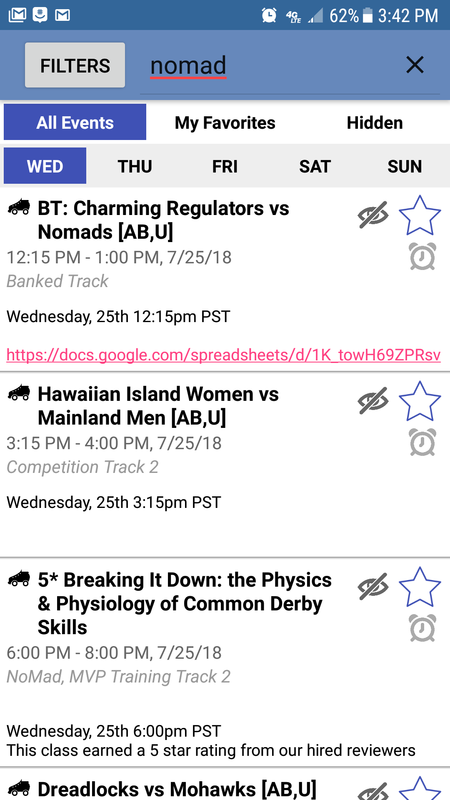 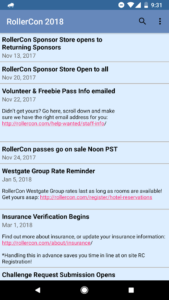 There are a few ways to keep track of events at RollerCon, but none as handy as our phone app, created by intrepid developer, convention lover and roller derby official, Amy Fan. 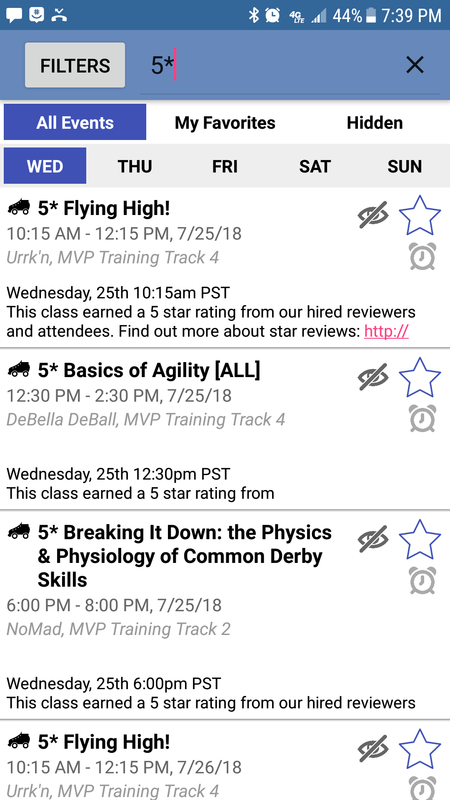 The app is available on both droid and iPhone, with slightly different options, and we’re still developing features! 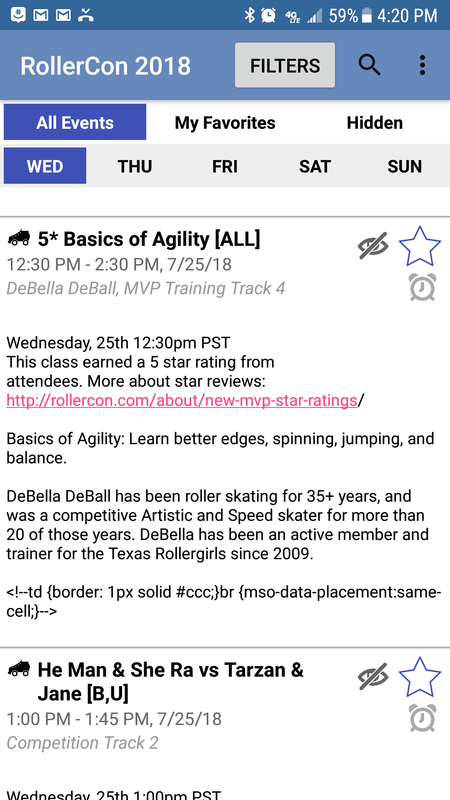 If you like it, please give us a review! Search a coach, or yrself!